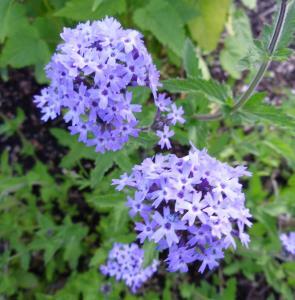 Verbena 'Boughton House' is a creeping perennial with opposite leaves that are toothed or lobed. 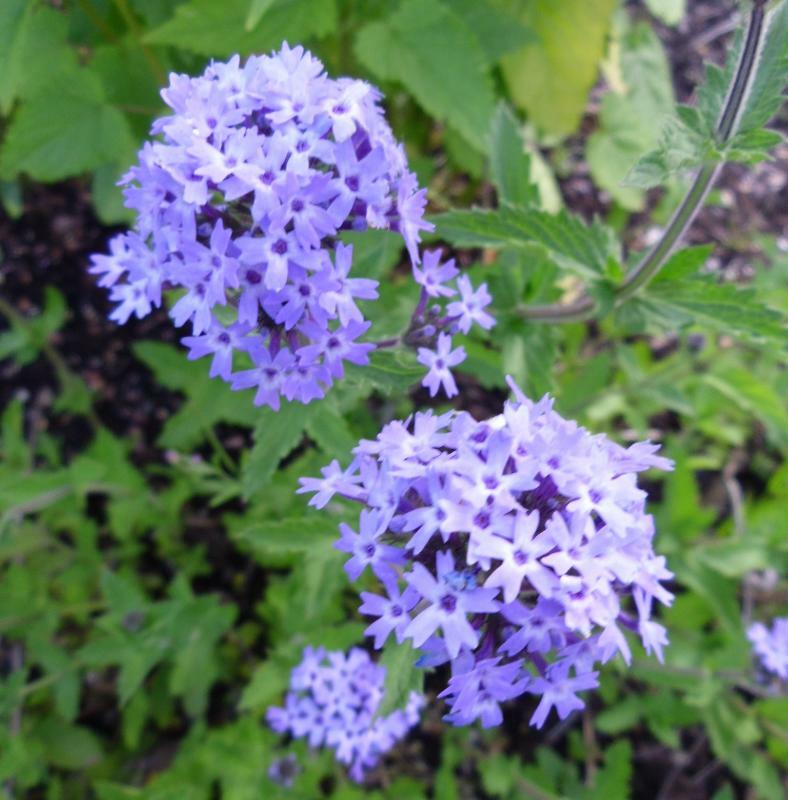 Flowers are small to medium, lavender- blue in abundance from June to September. 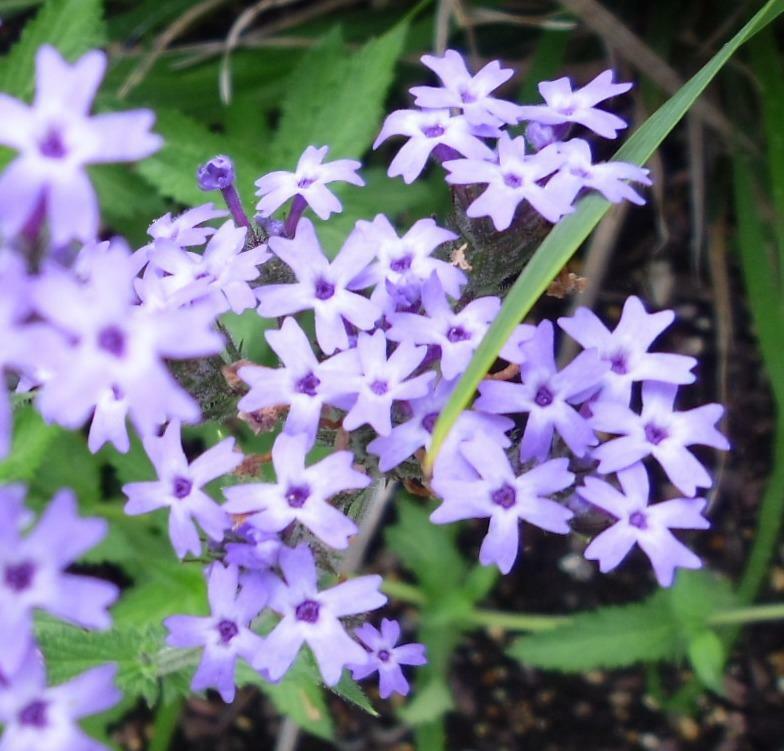 Prefers full sun, easy to grow. Hardy. Height 0.50 m.